The D-Bag Daily: One day, you will be old, too. I'm waiting in line at Starbucks the other day, and there's this sweet elderly woman in front of us. She's taking quite a while to decide on what to drink and cashier isn't being all too helpful with ordering the drink. After wrapping up with her order and payment, the pissy cashier rolls her eyes and lets out an irritated sigh as the customer walks away. Now, having worked with many elderly people in pharmacy, I can definitely identify with this frustration. You're busy, the line is long, and your patience starts to run thin. But I NEVER, EVER roll my eyes. You know why? Because someday, I'm going to be old too. Believe me, I've spent upwards of 10 minutes on the phone with an elderly woman just to take some refill numbers down. Try it with an elderly person who also can't speak English very well: oooone (1), seben (7), sic (6), pour (4), ssserrro (0). No, wait - I missed a number. Let me start over again. But just because they aren't as fast as you and don't speak English as well as you doesn't mean they don't deserve the same level of service as the tween who knows she wants a Grande Nonfat Caramel Frappucino. 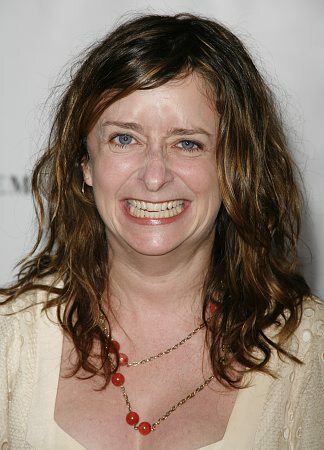 I wanted to reach across the counter and slap some pretty onto this girl's face, because heaven knows her fugly, Rachel Dratch-lookin face needs it. Someone once told me that you need one of two things to be successful in life: beauty or brains. I'd like to add another to that list - it's called NOT being a miserable person. One day, Starbucks girl, you will be old, too. And you'll be ugly, stupid, and miserable. So you LOSE! You LOSE at the game of LIFE! Next time I go in there, I'm going to order the Venti triple-shot, two-pump-sugar-free, Cinnamon Dolce no-foam, extra-hot LATTE. Roll your eyes at THAT! Now, see. Look at what you made me do. Now I sound like a jerk.